Passing the days and silently looking into the nursery on your napping baby and then accidentally awakening him up (“whoops, No, no, please no!”). As a conscious parent, you can’t imagine the situation out of the sight of your beloved little one. Also, the baby monitors are the perfect investment for new parents who want to get better sleep. With the current technological advancements, you can now connect some baby monitors to your home Wi-Fi. The monitors let you view your baby from any place on an internet-enabled device. A video baby monitor works very well to show you what is going on behind the scenes after the lights are out. As long as you are in the operating range, this unit will give you a clear view and audio of what is happening around the baby. And how it’ll inform you about the odd environment? Some of these transmit alerts through variations in LED lights, while others have subtle vibration notifications to alert you when there is a disturbance in the baby’s crib. And another is to install a video baby monitor to watch when your sights can’t be there. A seated camera can transmit live video from your baby’s room to a handheld observer or your smartphone/ smartwatch — or to both devices. It is important to note that these baby monitors can’t monitor vital signs in your little one. Instead, they all offer necessary performance which lets you just keep up with your baby’s current situation. Here is the lineup of all the units that we reviewed. which baby monitors should you choose? Are baby monitor temperatures accurate? Can we extend baby monitor range? And now, a comprehensive review of each of the units in our lineup. Infant Optics is the global leader when it comes to the best quality baby monitors. The ergonomic design offers limitless capabilities to the parents. Also, it helps you to focus on the safety, health, and life of their little one even you’re busy. Enjoy the unparalleled customer support and supreme quality offered by this great brand. Infant Optics DXR-8 Monitor is a significant investment to save you from unexpected situations. 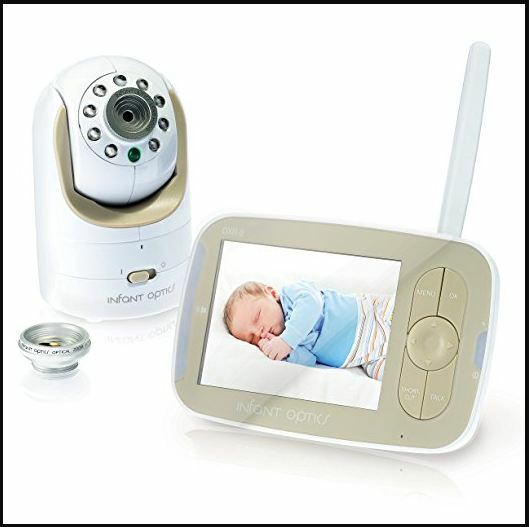 DXR-8 is the best video baby monitor that allows real-time streaming of videos to a 3.5 inch LCD color display. The display is crystal clear with no pixelated or grainy textures. You can run the baby monitor up to 10 hours saving on mode with 6 hours screen mode. So, only once charge a day is quite enough for continuous observation of the kid. Unlike other cameras, Infant Optics DXR-8 has a plug and play operation, for which, no set up is needed. You just need no-expert-knowledge to watch around the environment. Switch on the camera and go for your work. The camera will run smoothly as per directions. It uses a 2.4GHz FHSS wireless transmission that delivers total privacy with a delay-free audio and video playback. Besides, you can manually set the night vision IR lights to observe everything when the light is off. You can also remotely adjust the zoom, pan, and tilt of the camera from your screen. Another great feature of this exceptional monitor is that it has a remote temperature display. The display lets you know how your baby feels comfortable or not. This system allows for maximum vision control of your child’s room. The impressive lens-technology lets you customize your camera performance. Perhaps unsurprisingly, it helps you to adjust the viewing angle and the focal length of the particular environment you wish to view. The entire unit is expandable to four cameras for an increased monitoring range. Also, the sound-activated LEDs allow you to view the levels of sound activity in your baby’s room even when the sound of the monitor is turned down. The LEDs will alert you while your baby is crying. We loved the Infant Optics DXR-8 for many reasons, but the main one is that it has an interchangeable lens system. This great feature allows the baby monitor to grow with you. The close-up optical zoom lens gives you an intimate view of your infant without tampering with the image resolution. As your baby grows, you can swap to the regular lens that gives you a full view of whole activities. The LCD screen has a bright display. The temperature monitor comes in handy to ensure that your little one is completely comfortable. The monitor works very well with dual cameras. It does not have a low battery indicator. Infant optics DXR-8 enhances the security by monitoring whole activities around the baby. The interchangeable lens with dual cameras ensures the durability of the monitor. Though it lacks low battery indicator, you may know battery charge when interception is frequent. However, Infant Optics DXR-8 is the best video monitor to cover all security concern to keep your mind at peace. NETGEAR Arlo is one of the best companies that have perfected the art of Baby Monitors. The two-way talking series of NETGEAR Arlo baby monitor sustains for years because of high-quality materials. Although NETGEAR Arlo can be classified as low pricier than the rest of the best quality Baby Monitors, they justify the price by providing some great features. Well, Now, we are bringing you the budget-friendly NETGEAR Arlo Baby Monitor. Smart home enabled like Works with Apple HomeKit, Amazon Alexa, Stringify, etc. The NETGEAR Arlo baby monitor uses 2.4 GHz wireless technology which strengthens the signal. You can easily control your child’s movement from remotely and talk to your child. The noise reduction technology protects your baby from the noise. It helps the baby to keep calm and sound. The operating range is infinite. You can view and monitor your baby from anywhere in the world through internet. To be noted, you must need the LTE or wifi connection. There is also had night vision cameras; you can turn it on or off from the parents unit or the baby unit manually. Rechargeable battery is used to monitor the baby. The baby cam comes with an alarming indicator to show the low battery. You can access the baby monitor through your smartphone using Arlo app.The video will start when the baby movement and sound occurs and can store it on cloud(last 7 days) and also can share the baby monitor to your family members. Most attractive feature of this baby monitor is you can easily integrate this to your smart home. You can monitor your every camera in the entire home using the smartphone app but you should switch your account to view different camera. OK, I know you’re thinking about the portability. It’s fully portable when you are using battery power. You don’t need parent unit where others need. The eco functionality can reduce slight background noise until your baby makes a sound. Using rechargeable battery ensures the cam long life. It also uses good sound quality microphones which also have noise reduction facility to hear the clear sound. 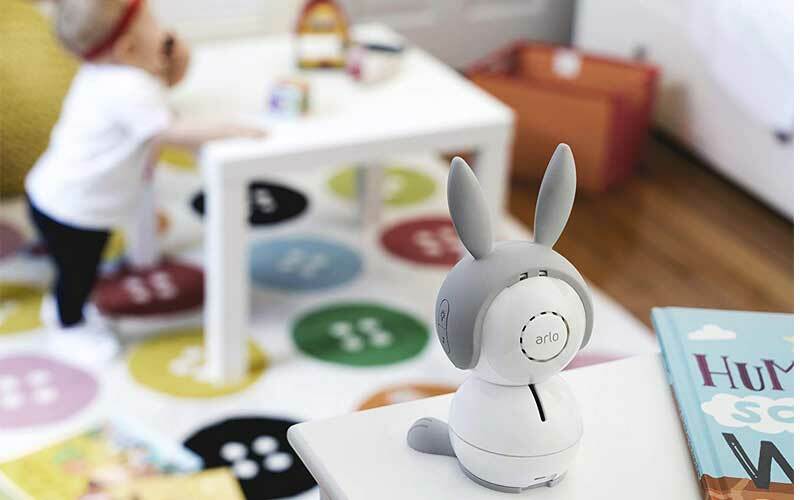 The two-way talking functions have “talk button” to help mothers stay virtually by speaking with the lovely kid. It uses instant smart alert system such as Get motions, instant sound, and room air quality notifications sent directly to your smartphone so that you can always monitor your toddlers conditions. 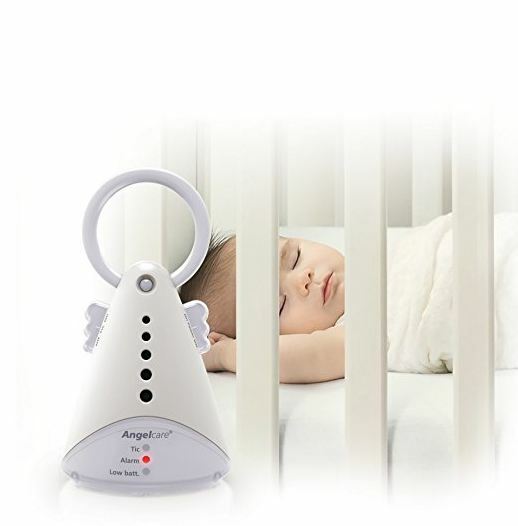 This baby monitor provides Smart Nursery Features such as lullaby player, Multi-colored night light, temperature sensing, humidity as well as VOC air sensors. You can easily monitor and control all sensing features anytime, anywhere from your smartphone. It Works perfectly with Google Assistant, Apple HomeKit, Amazon Alexa, IFTTT. You can view your baby’s live video by a simple command through voice and can integrate easily with Arlo into your smart home. It keeps your transmission secure and secret. Has smooth night light to comfort the baby. The monitor will eliminate the background noise until the noise is over 40db. It can provide 6 hours charging back up. 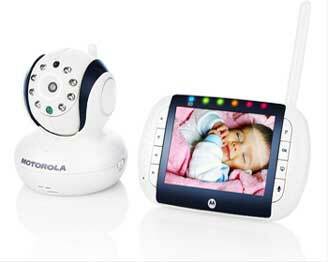 VTech offers a cheap baby monitor which allows you to keep watch on your little one from any room, at all time. Through this monitor, you can hear every sound your baby makes, which is a source of peace in mind. 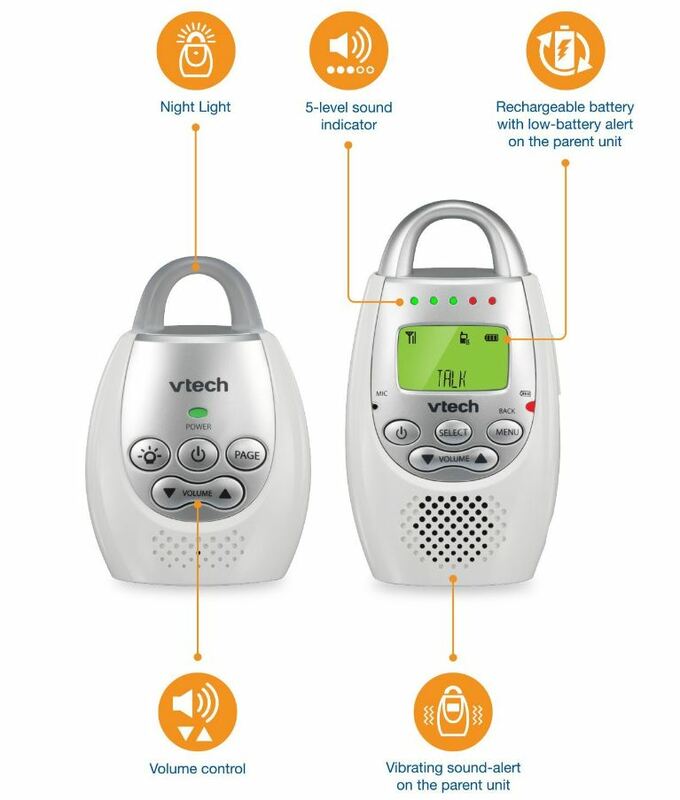 VTech baby monitor has a digital transmission system, which allows you to focus on the sound of your baby only. 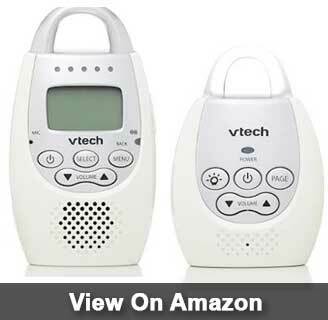 VTech is a Safe & Sound Audio Digital Monitor that operates at 1000 feet outdoor range. You can, therefore, hear your little sound from any room in the house, and even outside. The lightweight battery-operated unit claims longer battery life up to 18 hours. You can also observe the monitor from anywhere through built-in belt clip. Also, you can read the monitor even in the dark for its backlit display. The talk-back feature allows you to communicate with your baby from any point. However, I can’t but here to say the loop of the baby unit which helps to stay baby calm. And another thing is the noise level indicator. It indicates the noise level to alarm you when an unexpected sound arises. Moreover, a subtle vibration makes you aware of while the baby is fussing. Parents and caregivers who have used VTech Baby Monitors love them because of the secure and precise transmission. The DECT 6.0 Digital technology of the monitor eliminates any interference to provide a crystal-clear sound. Also, this technology transmits an encrypted signal to ensure that you are the only one to hear your baby. The monitor focuses only on the sounds made by the baby. The lights that indicate the noise level work well. It allows for talk-back with the little one. Some users complained that the parent unit keeps losing connection with the baby unit. If you want to concentrate only on your baby avoiding surrounding sound, go for the VTech DM221. It allows you to monitor your baby without letting another to know the condition. Losing connection may be a problem, but it never be a concerning issue if you avoid rough uses. The cheap baby monitor makes it friendly to the budget-oriented parent who doesn’t compromise on quality. Babysense Baby Monitor adds up as the perfect baby monitor to your little one. This digital monitor uses a high-end technology that allows your undivided attention to your baby and the best sound quality. Keep in touch with your little one both day and night, to ensure that they are safe at all time. The monitor comes with 2.4” wide LCD screen with infrared night vision and HD video playback. These give real-time sound and video in your baby’s room to allow you to monitor the room environment quickly, even in the dark. Stay informed about what is happening in the baby’s room with the five LED alerts that visually show the sound levels in the room. 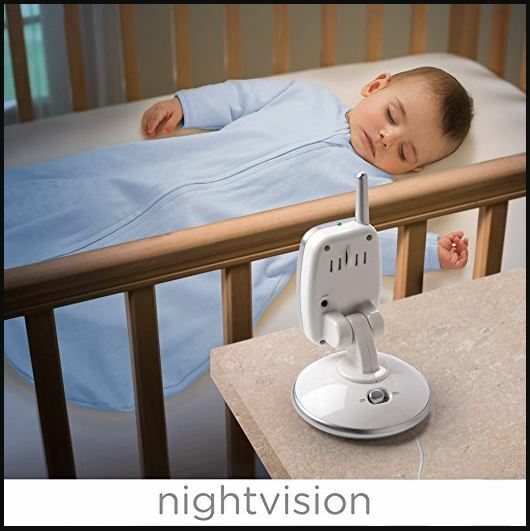 Controlling the zoom, pan remotely, and tilt of the camera ensures safe and sound sleep of the baby. Also, the two-way communication system helps you to communicate with someone in your baby’s room. And now the room temperature sensor. The baby monitor can measure the temperature of the room to let you know whether it’s comfortable or not. The monitor has an impressive range of 900 feet, which allows you to proceed with your household chores comfortably. The out of range warning alerts you when you go too far away from your little one. You’ll also get one-year manufacturing warranty for any defects or dissatisfaction from the monitor. Finally, a monitor that lulls your baby! Motorola MBP36 Baby Monitor has five built-in lullabies that soothe your baby to sleep. All that a caregiver wants is the reassurance of the peaceful rest of little one. Babysense Baby Monitor gives this kind of peace. It is the best WiFi baby monitor that is equipped with a revolutionary 2.4 GHz FHSS technology. The advanced technology ensures a reliable wireless connection, unlike the previously used corded technologies. You can, therefore, have the peace of hearing your little one whenever they need you. Besides the fact, this unit uses WiFi means you can watch your little one through your phone or the monitor. 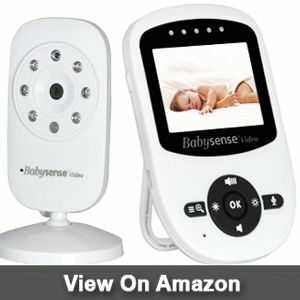 With the most advanced technology, Babysense video baby monitor helps your baby sleeping undisturbed. The temperature monitor will help you to ensure comfortability whereas two-way connection secure undisturbed talk between you and your baby. You may worry about the backup of the battery, but the rechargeable battery has enough power to provide stability. I would recommend the wifi enabled baby monitor for using the internet to monitor from wherever you want. Snuza Hero is a valuable baby monitor designed for the out-and-about parent. Unlike other monitors, the operation of the Hero is not restricted by any conditions whatsoever. The Hero’s motion sensor can detect the slightest movement of baby and also monitor your baby when resting. 15 seconds of no tummy move and the Hero vibrates to arouse your child. Even after an additional 5-second of no movement will result in Hero to blow a sharp sounding alarm! Embrace the baby monitoring technology with this advanced baby monitor that combines ergonomics and mobility for a finely tuned and precise monitoring. 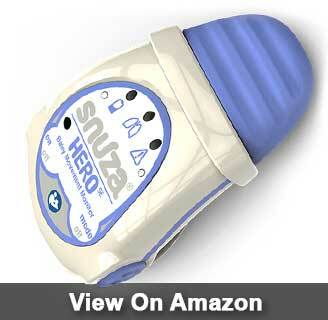 Snuza Hero has a gentle clicker sound which indicates that the device is on. This wearable device is ideal for monitoring the infant’s abdominal movements. In the case of weak or infrequent changes by the baby, the monitor will warn you through the indicator lights. It is important to note that this device can pick on other movements besides those made by the baby. So, you’ll get to know everything which is harmful or not to the baby. Snuza Hero has no wires, pads, cords, or external power, therefore for safe-use on children. Besides, manufacturing from medical grade and hypoallergenic plastics, the device cause no harm to the health. Also, it won’t transmit a radio frequency signal which has a slight effect on the baby body. Furthermore, the vibration stimulus works gently on the baby, and it does not cause shock. And make no mistake about the clipping on to the diaper. You aren’t restricted to use the monitor only onto the diaper preferably it can be used anywhere you like. Moreover, using the diaper help you to take care along with being busy other works. You can use it at home or other places especially while you’re traveling. The portability makes it one of the most popular among thousands of available devices. It has a comprehensive one year warranty, and it comes with a replaceable battery. 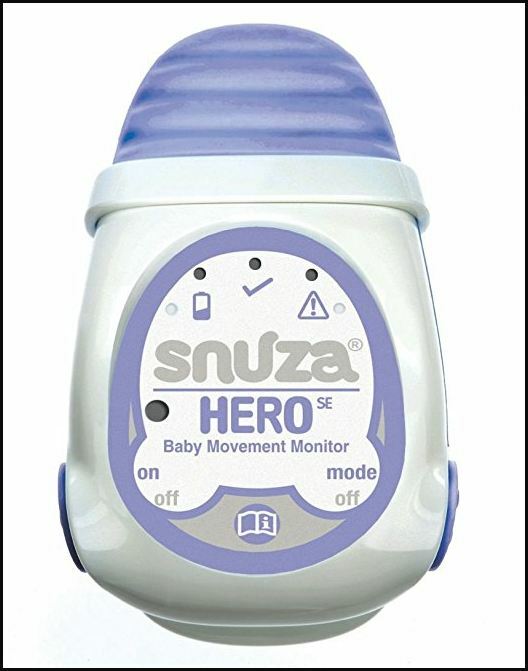 Snuza Hero is excellent for monitoring an infant’s abdominal movements, and it raises the alarm if there is no movement for 15 seconds. Most customers who used this baby monitor appreciated its effectiveness and eased the way of use. 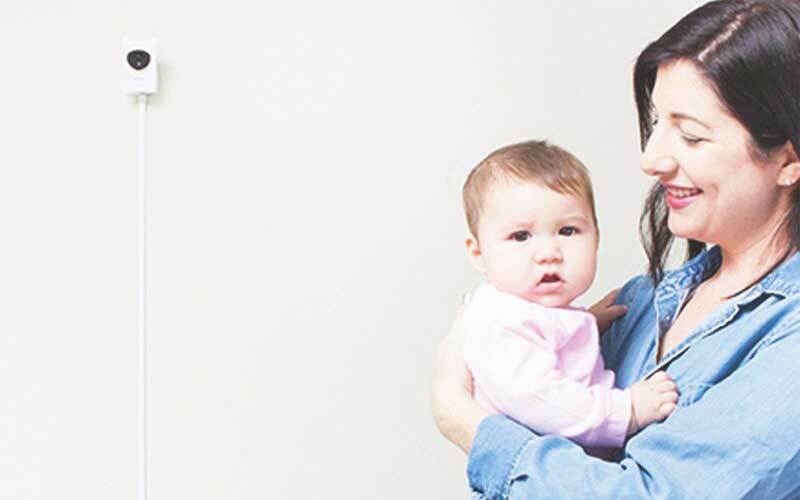 This monitor is wearable, and it is attached to your baby diapers. It not appropriate for co-sleeping or bed-sharing. It tends to fall off sometimes resulting in false alarms. If you want to have a close look at every movement of your kid, nothing can be no longer better than Snuza Hero movement monitor. It is convenient to use even while you’re on the way of traveling. Moreover, it may produce false alarms as it is attached with the diaper, it’ll make you more conscious about the movement of the kid. So, take the next step technology for baby movement monitoring and enjoy parenting. Imagine having the ability to manage your home security through a wireless IP camera. Well, this no longer has to be imagination. Withings Serenelife wireless security cameras have a ‘Managed Account’ solution to simplify your network’s systems. You can now enjoy using a single account from your Mac PC or iPhone to control cameras to view the movements. Besides, you can access all recording online for free. How great is that! Come with pre-configured and complicated settings, Serenelife wireless security cameras use managed server to save your time for further configuring. Log in with the same account in iPhone and Mac PC saves your bucks for storing videos in the cloud server. Also accessing the same account from different devices will be a great assistant to control remotely. Using with Serenelife IP camera, you’ll access for up to 2TB storage to keep videos for 180 days. Just plug in an SD card, or upgrade your system using Cloud box, and you can back up to 2 TB of videos and images for free. Besides, you can manually set the night vision IR lights, which lets you use these cameras in complete darkness. The security cam detects and records motion while giving you notifications. You will see the alerts only when you need them. To get the notifications, you can manually set the alert systems. The camera has an adjustable tilt, pan, and digital zoom, which makes it possible to adjust by swiping the screen. Also, the camera delivers high-quality HD 720p videos. 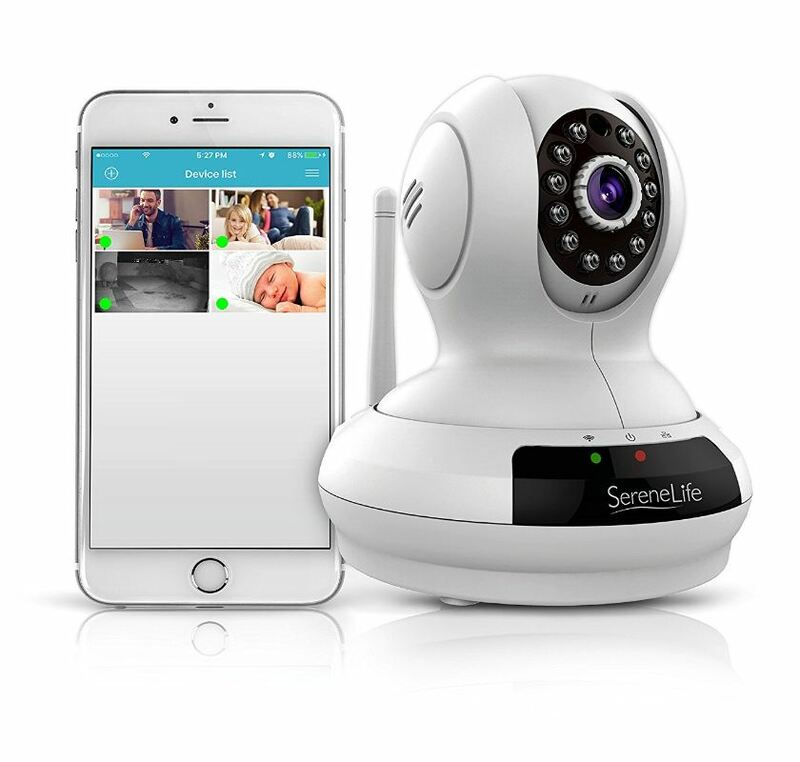 The Serenelife wireless security camera is the best iPhone baby monitor that fulfill your wish of intense security. Not only you can expand your system, but also access them all from a single point! You can use as many cameras as you can in the system by using a Wifi network. The multiple camera systems is an exceptional feature which you can’t get anywhere else. This baby monitor allows you to be logged in on several devices at the same time. It gives images with no grainy or pixelated aspects. Can’t save your data or video to directly in PC. 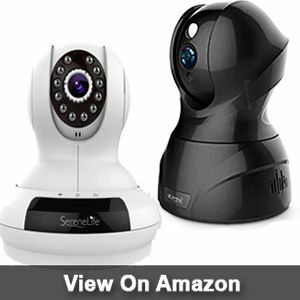 Serenelife IP home camera lets you control everything to get maximum security. You can store videos or images in the cloud without paying fees for 180 days. Also, maintaining single account help you to control from wherever you want. Though you can’t save data onto your PC, but who doesn’t know the secrecy and availability of the Apple cloud. Besides, you can save your data on SD card to use on another device. In fact, SereneLife is a complete satisfaction in a package to monitor your baby. 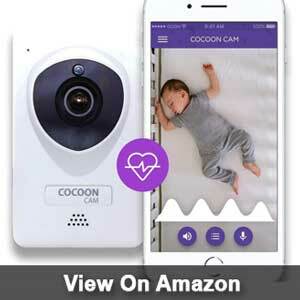 Using the latest technology, Cocoon Cam Plus baby monitor removes the anxiety from the mind of the parents. The baby monitor can record videos in night vision to evaluate the strolling of the baby in darkness. Therefore, you can be sure that your baby is safe at all time, even when you are not there. Cocoon Cam Plus has a HD camera that gives you a comprehensive and clear view of your baby and the room. You can also control the camera accordingly by just tapping on the screen. This baby monitor doesn’t have a battery to ensure monitoring long time without hampering the recording. It monitor’s through direct connection means attachable camera with wall settings. But I stunned with the VOX along with the baby cam. The voice-activated allows adjusting the sensitivity by which you can listen to even the slightest noise from the little one. You can also remotely adjust the zoom, pan, and tilt of the camera from your screen. The zoom in and out icons plus the up and down arrows are great at controlling the camera. Also, this baby monitor is expandable up to four cameras. Each camera has video and audio auto-scan feature with sufficient delay-time that allows the caregiver to monitor each camera. It is an excellent way to watch multiple rooms at the same time. This baby monitor is validated through Top Pediatricians such as the NICU which is located at Lucile Packard Children’s Hospital Stanford as well as the IRB-granted studies at UC San Diego. You can also monitor your baby through smartwatch. We loved the voice activated (VOX) mode of this monitor that keeps you alert at all time. Besides, you can adjust the sensitivity levels so that you can be informed of all your baby’s activities like waking from their sleep, or when they are crying. This feature makes Cocoon Cam Plus a convenient device when it comes to monitoring your little one.It is the best night vision baby monitor because you can hear and follow the baby even in the dark. It is great for monitoring multiple babies. The tilt, zoom and pan features make it easy to control the camera position remotely. The camera works great even in night vision thanks to the IR lights. It has an impressive reception range. For a conscious parent, caring every sound make an effect on the mind. VOX of the Cocoon Cam Plus plays a pivotal role in monitoring the baby even in the night. Moreover, the long-range accessibility allows you to monitor the entire area as well as different rooms through various cameras. Also, you can overcome the lack of recording facility by getting HD audio and video directly. 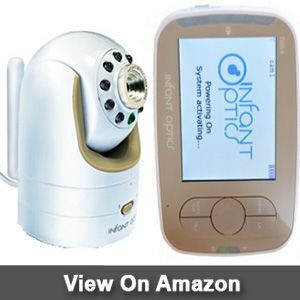 You’ll be pleased with the best night vision baby monitor to provide more exceptional care to the beloved one. In a small apartment, the range of baby monitors may not be the primary concern. If you live in a larger apartment, a baby monitor with extended range will help you to monitor your baby child. Even an extended range baby monitor provides flexibility of living and caring around the area of the life. Additionally, the wide view allows the caregiver to monitor multiple rooms and even children at the same time. 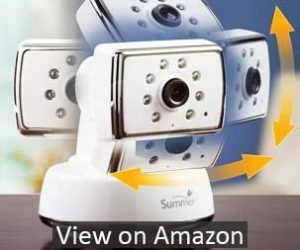 Summer Infant baby monitor has been an indisputable choice for the durability as well as high-quality videos and audios. 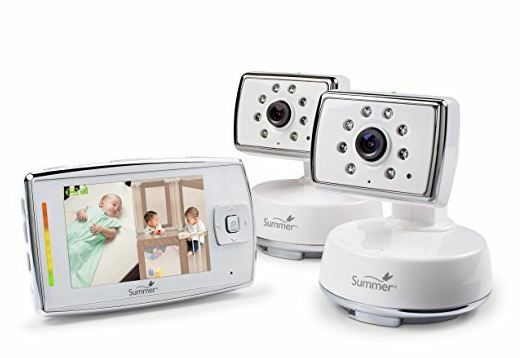 Summer Infant Extra cameras are compatible with specific models, and their use is not interchangeable between systems. They are consistent with Summer Infant Wide View Baby monitors of model numbers 29000, 29000A, and 29000B. You can add additional cameras to monitor different rooms and children. Moreover, the camera has an adjustable, swivel design to mount on the wall or table-top for an excellent view. A word of caution: you can add up to 4 cameras extra to the security system. More than 4 cameras will either damage the system or weaken the security by interrupting the transmission. However, the consumer relations representative will help you to set and install the configuration for smooth running. As a working parent, you might want to monitor your baby and the entire house at the same time. Summer Infant Wide View Baby monitors are designed to enable such functionality. With this baby monitor, you can connect up to four cameras. Each camera has an eight-second video and audio auto-scan feature that allows the caregiver to monitor each room. Such functionality is something that the users of this baby monitor appreciated. And the proper functionality makes it the best long range baby monitor. The monitor has a good picture and sound quality thanks to its high-end cameras. It is a great digital monitor for monitoring multiple babies or rooms. You can add up to four cameras. The video does not record unless the monitor is plugged in. Sometimes it is required to care for different rooms or children, especially for twins. Also, the working or busy parent needs something exceptional to look after the whole area for better safety. Hence, I would highly recommend Summer Infant Baby Monitor for the long-range cover of an entire area. DBPower is a leading brand in childcare products, especially baby monitors. The inspiration behind this brand is to ensure that every child receives maximum care and attention, no matter how busy the caregiver is. This brand is famous for its stylish and functional baby monitors. The full-color digital display of the parent monitor gives you a full view of your baby and the surroundings at all time. The screen on the parent monitor is easy to read, and it shows the nursery temperature. It is now time for you to sleep comfortably knowing that your little one is okay. The screen also displays your various settings and Sound Lights. At night, the nursery unit gives a gentle glow that soothes the baby and also guides you to the baby’s room in the dark. This monitor uses rechargeable batteries, which makes it convenient for traveling. Besides, the low battery indicator lets you know when to change the batteries. I stunned to know the automatic light vision which sets the light measuring the light conditions. It can turn automatically day and night modes. Even in the darkness, it will monitor up to 15 feet precisely. Moreover, the monitor supports split-screen and auto-scanning to view multiple cameras. In fact, auto scan mode will give your smoother images when multiple cameras are paired. So, what do we like most from DBPower sound baby monitor? Integrated 2.4 GHz technology with easy installation helps to operate the dual baby monitor smoothly. It encrypts the sound to ensure your privacy. Moreover, the two-way talk between you and your baby enhance the safety by staying connected. Sound-Activated LED lights to alert you to any adverse situation. 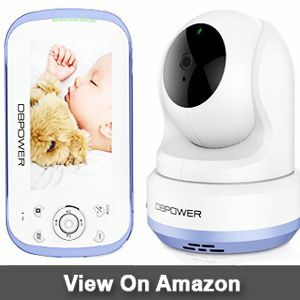 DBPower digital baby monitor has everything you want to monitor your kid. It comes with exceptionally high-quality materials so that you needn’t purchase anything extra. The alarming sound goes off when the camera isn’t working. It’s obvious for the monitor as the eye of the monitor sees nothing to alert you. Also, the integration of multiple cameras with splendid performance help you to monitor multiple rooms. I would highly recommend DBPower baby monitor if you want everything in a single package. Philips Avent is a leading brand in baby care products including bottle feeding, breastfeeding, and toddler feeding items, newborn gifts, and, of course, baby monitors. Avent Baby Monitor by Philips has been around for over thirty years now. The innovative design will blow your mind with maximum functionality. 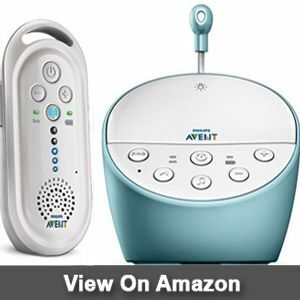 The Avent DECT, the best audio baby monitor, provides secure and transparent transmission. It has the DECT 6.0 Digital technology to ensure zero interference for a crystal-clear sound. DECT technology transmits an encrypted signal, which guarantees that only you will be able to listen your baby. Moreover, the Safe & Sound Audio Digital Monitor operates at a range of 1000 feet. It is, therefore, possible to hear your little one from any room in the house, and even outside. The parent unit has a talk-back feature, which allows you to communicate with your baby from any point in the home. Also, the baby unit has a loop which lights up at night to calm your infant. Activated lights of parent unit indicate the sound levels in your child’s room. It alerts you by lighting again and again when the device is muted. Therefore, you can easily monitor the noise levels when the receiver is on mute. When the parent unit is in vibration mode, it alerts you to subtle vibrations when your little one is fussing. The foremost priority is the baby’s comforts. Temperature changes can make your little one restless. 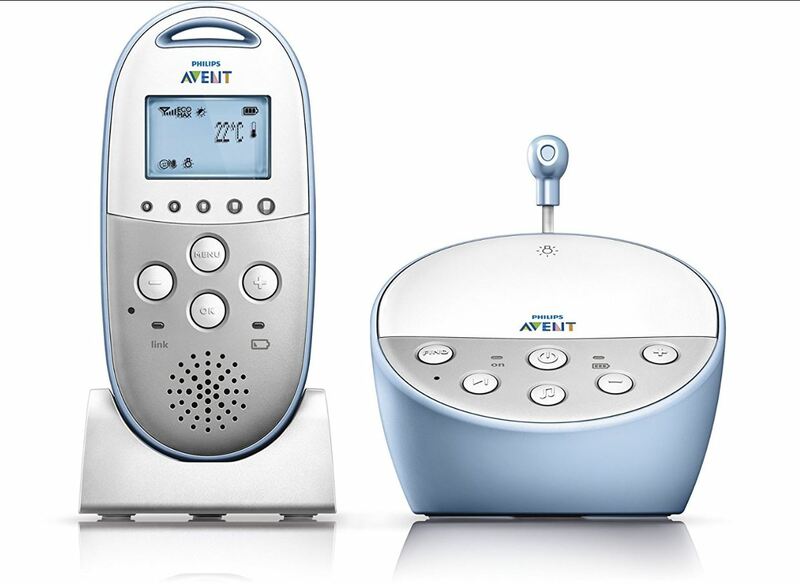 We loved Avent Dect because it is wholly committed to ensuring the well-being of your little one. The temperature sensor is a clear indicator of this argument. The sensor has a customized alert, and it monitors the temperature conditions in the baby’s room. When the climate in the crib changes, the sensor sends immediate signals to the parent’s unit. It has an impressive operating range of 50 meters indoors and 330 meters outdoors. The talk-back feature allows you to communicate with your little one remotely. This great monitor allows for a secure and crystal-clear audio. Secure and encrypted connection lets you listen personally. Some users of this monitor complained that the volume is not loud enough. Philips Avent is a well-known baby monitor to care the little one. If you’re fond of listening to every sound created by the kid, pick up Avent for higher satisfaction. Though some complaints arise from lack of loud sound, the monitor provides enough sound along with other alerting systems. However, the price won’t be a hassle if you’re beloved one feel comfortable. Manufacturing, especially for the twins, Summer Infant Digital Color, helps the caregiver to monitor different rooms or children simultaneously. Users of Summer Infant Baby Monitors love them because of their innovative designs and high-quality videos. Summer infant monitor has five LED alerts that visually show the sound levels in the room for a clear view of the environment in the baby’s room. Enjoy the two-way audio communication that lets you sing for and communicate with your baby remotely. The split screen technology enables you to view multiple rooms simultaneously. Besides, you can now remotely adjust the zoom, pan, and tilt of the camera for a better view when the baby is sleeping. The monitor has out-of-range and low battery indicators. So, you won’t be a fool for forgetting the battery level or range of the cam. It comes with two additional cameras which make it an excellent baby monitor for twins. The quality of this monitor is backed up by a one-year warranty. The top-notch baby monitor allows you a clear view of your baby and the surroundings. 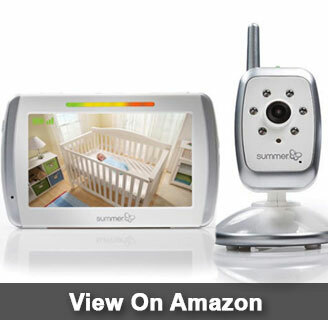 However, we love Summer Infant Baby Monitor because of its 3.5-inch wide LCD color screen. The cam also provides infrared night vision and 25 FPS video playback. These features give real-time sound and video. Also, the night vision lets you monitor even in the darkest night. Besides, 2.4 GHz wireless technology plays a significant role in performing a smooth operation with crystal clear sound. The cameras have a good picture and sound quality both day and night. The pan, tilt and zoom functionality allows for an easy remote control of the camera. It has an impressive range of 600 feet. Lack of important notification features like low battery or loss of signal. I should pick up the Summer Infant baby monitor for twins as the best because of enormous features. But the price lets me down it on the list. However, although the price seems little high, I think the price is sensible as for the features of monitoring twins. 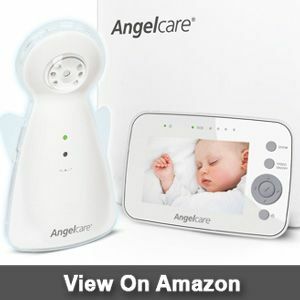 Angelcare has brought the opportunity for a conscious parent to care baby always with a baby monitor. The monitor works very well and is a source of enormous peace of mind. It can detect even the most subtle movements of your baby, whether they are awake or asleep. The high-quality materials with small ergonomic design make it small baby monitor under $100. Angelcare Movement Monitor aims to do more than just keep track of the baby’s sound. The under-the-mattress sensor pad can record the slightest movement of the baby. Also, the sensor pad is a great complement to you Angelcare baby sound monitor. This combination is perfect when you need to monitor multiple babies. Besides, the pad has an adjustable sensitivity that lets you select the movement up to your desired level. 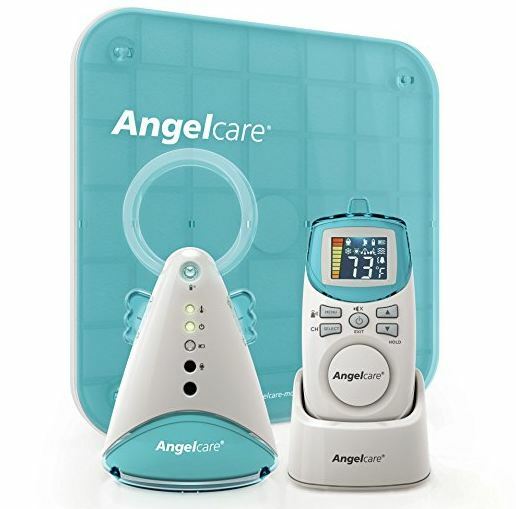 The Angelcare sensor pad is perfect for use with a standard baby mattress of any size or thickness. However, do not use it with a dual-sided, memory foam, Purflo, or a hollow frame mattress. With the audio ‘Tic’ feature, you have surety that the monitor is in an excellent working condition, even when your baby is silently asleep. Also, this movement monitor has a low battery indicator that alerts you to change your batteries. Angelcare movement monitor is battery operated, which makes it the perfect travel companion. Angelcare Movement Monitor adds up as a great addition to your movement and sound monitor. It is, therefore, possible to install two systems on different cribs for parents who have twins or triplets. However, it is important to note that this monitor can pick up movement, even after one baby is already still. It detects even the slightest movement by your little one. It is very affordable compared to all other units reviewed. The monitor has intuitive features that give you peace of mind for insane safety. A small device will be convenient and portable to carry around the different places. Even, it can be adjustable to mount on the wall or on the table to monitor baby’s movement significantly. A small beep may create losing charge but to ensure the device working well all day long. It’d be a wise decision to invest on the small baby monitor for under $100 to worthy of your bucks. After a month of testing twelve(12) products, Infant Optics DXR-8 baby monitor grabs the top choice among the tested monitors. Infant Optics which taps into a smartphone to help you stay in on your child at day-night, it has an exciting array of features. From the moment we plugged in the DXR-8, we knew we were in for a treat. DXR-8 is an exceptional baby monitor that proved to be the easiest to operate starting from the quick setup to the intuitive menu options. Although this monitor does not have the most extended indoor range compared to other monitors in our reviews, it delivers the clearest and the best audio, even at its maximum range. Also, DXR-8’s lack was some features not a major turnoff for us. We liked its video recording and snapshots, and on overall, this was our favorite baby monitor. The baby monitor is designed to transmit clear, recognizable sound. It can be a major challenge to find a unit that has minimal interference from nearby electronics. Also, It might have the same operating frequency band as the monitor. Audio interferences include anything that makes it hard to decode the actual sound coming from your baby’s crib. Interference in a video monitor translates to fuzzy, and grainy images. Intervention is the main complaint received from most users of baby monitors. Hence, to minimize interference, you might want to go for a baby monitor that incorporates the Digital Enhanced Cordless Technology (DECT). Also, digital monitors have a private transmission, unlike analog ones. You have the surety of maximum privacy of your data. Furthermore, to eliminate any interference, it is, therefore, advisable to get a DECT or digital model with a different frequency band from other electronics in your home. See Also: How to save your baby from croup cough and simple solutions of it. Generally, a baby monitor helps to listen or see your baby’s condition when you are not in the room. It gives you the ability to hear your child’s every sound from a remote location. A baby monitor has some sensory monitors that can detect sounds, baby’s movement and even breathing. The necessity of installing a baby monitor is increasing day by day. Modern parents are more conscious about their newborn. Moreover, the price of these systems is relatively low. So, most of the parents prefer to set-up a baby monitor to ensure their baby’s supreme safety. So, which baby monitors should you choose? Which will be perfect, or which will not work well is entirely depends on you. When should you choose a Sound Monitor? If you are a first-time parent, you should try a sound baby monitor. A sound monitor prompts you to wake when your baby needs attention. Without the sound, all baby monitors will be almost worthless for the sleeping parents. Even if your baby monitor offers video, you should check its sound capabilities before buying. Usually, a newborn baby cries when they awake, or their diaper needs changes. It happens in every two to three hours. The time period increases as they get older. The more they are getting older, the less interference will happen. Though a video monitor gives you the ability to see the real condition of your baby, the sound monitor is still essential to break your sleep. Why should you choose a Video Monitor? A sound-only monitor gives only clues. Since a sound monitor cannot display the real situation, you need to visit the nursery room to find out the reason for the sound. On the other hand, a video monitor helps you by showing real-time video. It helps to decide whether you need to visit the nursery room immediately, or nothing serious is happening. Maybe your baby just wakes up, cry for a few seconds, then get back to sleep. If you don’t have a video monitor, you cannot determine these types of situations. However, if you have multiple kids and need to monitor their’ condition, you just need a video monitor. A sound monitor will not help you in this situation. Moreover, a video monitor not only works for newborn, but these are also useful for the big kids. It gives you the ability to monitor your kids playing while you are busy in another room. Why should you choose a Movement Monitor? Though the effectiveness of a movement monitor is questionable, it has the capabilities to detect your baby’s movement. A movement monitor is entirely different than other baby monitors. The system uses sensors to detect your child’s movement at night. It can alert parents about potentially dangerous situations. Usually, these monitors are used for those babies with medical issues. The movement monitor alerts you when an unlikely event occurs such as when your baby stops it under crib’s matters. So, it alerts you if it couldn’t detect any movement in the crib for at least 20 seconds moving. Its most attractive feature is that you can place it anywhere. Almost all baby monitors have a room temperature sensor that helps you to know whether the nursery room’s temperature is too cold, or too hot. If the nursery room’s temperature is too warm or too cold, the baby monitors will let know you. So, the parents can take the necessary steps to keep a consistent temperature to ensure a comfortable zone for the sensitive baby. Unfortunately, I have seen a lot of complaints and questions arises about the accuracy of the temperature sensors. Of course, only a few of baby monitors can calculate the temperatures accurately. Two years ago, I had a Hush Baby Monitor. Though the temperatures were not that hot around our bedroom, that baby monitor was saying that it is 25c. It feels that the nursery room has cooled down, but still, the read was 25c. So, I will say, most of the baby monitor temperatures are not accurate. Don’t worry; we have researched about this matter as much as possible. We have discussed with experts. Our team has interviewed many parents who already used baby monitors. Moreover, we have spent a considerable amount of time by reading product descriptions, features, pros, cons, and most importantly the customers’ reviews. Then, we have made a list of those baby monitors that can measure the room temperature more accurately than other models. We are not saying that our recommended products are the best, but we can say that these are much better than other products. According to our experts, the DXR-8 Infant Optics Video Monitor is the best one from the list. The DXR-8 Infant Optics Video Monitor is voted as the top baby monitor by mommyhood101, and The Bump in 2018. The monitor uses the latest interchangeable lens technology. Its 3.5 inch LCD display provides real-time crystal clear color image. You can customize the camera performance in just seconds by switching between different lenses. Its sound activated LEDs and voice alert system will alert you when your baby is crying out. It can measure the room temperature more perfectly. You can check the nursery room’s temperature from a remote location. So, you can check quickly whether your newborn is safe and comfortable. Can we extend the baby monitor range? I have seen few questions from parents about how to extend baby monitor range. I will say, search the markets at first. Many digital baby monitors offer a pretty well range. Another solution is to buy a smartphone baby monitor that uses the internet to connect. Maybe these are expensive, but you can stay connected with your child’s nursery room from a long distance. The third way is to increase the efficiency of the antenna. If the size of the antenna is small, it will gain less range. To get a decent improvement, replace it with ¼ wave antenna. Also, you can try an old trick. That time people use a coat hanger and foil to boost reception on old television antenna. You can use this trick to reduce interference. Stop other running devices that use the same 2.4 GHz. Hope, it will extend the baby monitor range. Philips Avent is a leading baby monitor manufacturer who has been in operation for over 100 years. The Company specializes in parent and child products. But baby monitors are our interest in this review. Graco is a favorite manufacturer of a wide range of child products, and their baby monitors are readily available for retail purchase. Angelcare products are available at all points selling children products. Other than baby monitors, the company also specializes in baby travel gear, play gear, booster seats, and several other child care products. All the units reviewed in this lineup were taken through intensive and through tests to ensure that they offer you the peace of mind that you desire. Each device has most of the features that you expect to find in a surveillance unit. The parent units are wireless, therefore, after charging you can keep it in your pocket as you proceed with your house chores. We also confirmed that each unit has a signal indicator. It lets you know when your Wi-Fi signal is too weak, or when you have moved out of the monitor’s operating range. We thoroughly tested each of these monitors to ensure which provides the best quality audio and display monitor. Screen resolution can be used to determine the image quality of the monitor. However, we did not pay much attention to this as we did on the video quality. Because lag and choppiness can mar the image quality. Audio Monitors –The best of this type has both sound and light alerts. As such, as the intensity of your baby’s noises increases, more lights on the parent unit go on. You will receive alerts of your baby’s cries even when then monitor is on mute. Video/Audio Monitors – These units have a tabletop or wall-mounted camera. It transmits images from the baby’s crib to the parent unit. Digital Monitors – They encode all their signals, allowing for a secure transmission. Analog Monitors – These do not encrypt their signals. Instead, the transmission of signals is in a straight shot from the baby’s to the parent unit. If the frequency band of your monitor is close to that of other electronics in your house. Then you are up to major interferences. Therefore, most manufacturers of baby monitors stick to the DECT technology, where the frequency is reserved only for voice-only applications. Modern monitors have non-rechargeable or electrical cord options for the baby’s unit. The parent units typically have rechargeable batteries or an electrical cord. The ability to freely watch your baby without any limitations of a console unit is a great advantage. It comes with modern baby monitors. Some versions also enable you to adjust the screen brightness. This feature of modern monitors lets you view your baby even at night without having to turn the lights on. This feature lets you know when the crib’s environment is out of control. So that you can be sure that your little one is comfortable at all time. How do I make the best selection of a baby monitor for my family? Baby monitors come in a wide range of price tags and brands. Before making a purchase, be sure of the features that you need and the functionality. That is a good starting point to getting the top baby monitor. Should I go for expensive baby monitor models? As far as baby monitors are concerned, what you pay for is what you get. Highly priced models have more features such as a vibration notification and high-definition color displays. However, a higher price does not always translate to higher quality. Even the high-end, expensive units can suffer from fuzzy video reception, faulty parts, and audio and video interference. Simply put, the price is not a key factor when getting the best quality baby monitor. The exclusive baby monitor offers maximum peace of mind so you can also get some sleep. The ability to view your baby when they are crying helps you determine whether to intervene or to let them self-soothe. It is, therefore, important in the child’s training process. Baby monitors offer an accurate sleep tracking by monitoring the baby’s sounds and movements. If you have read this review to the end, then you are on your way to getting the best baby monitor. All the units reviewed in this lineup are excellent in their light, as seen in the most outstanding feature. Whichever baby monitor you choose for your little one’s security, you can be sure that any unit in this lineup will provide you with the satisfaction and peace of mind that you need. How do you count Baby Monitors Range. I am confuse, about it. It can only use in following range or the range from WiFi. Example, I set baby monitors in baby’s room, now I am in office. My office is 2KM away from home. Office and home has WiFi system. Can I monitor my baby using baby monitor. Baby Monitors range means the distance between transmitting and receiving unit, not the range of wifi. Yes, you can use it from your office but depends on your baby monitor model and connecting process. You have to connect through the internet connection because there is no baby monitor which has this kind of big range and no range extender also serve this range(following my research). Some of the baby monitors use IP address to access from anywhere through the internet, don’t need to stay in the wifi range. So, it totally depends on your purchase and choice. Best of luck, Cheers. What’s are the extra facilities in a Baby monitor that don’t cover by IP or CCTV? I am confused because of some baby monitor and CCTV features are same. Some baby monitors and CCTV features have good similarity. The main difference is cost-effective, features and ease of use. Look at the features so that you can easily find out the difference. But the IP camera has the following features..
You don’t have sound features as well as baby’s movement sensor. Setup is costly than a baby monitor. If you wanna know more about it, search on google. You will find tons of article about it and always answer is “Overall, baby monitors better than IP camera for monitoring baby”. 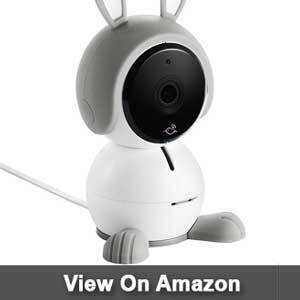 Most of the connected baby monitors are only effective for home security cameras such as nest cam devices that allow you to watch another location with color video, night vision, and sound, so you can tell if anything is amiss. Thanks Millicent. You have got a good point but some are effective for IP cameras and some aren’t. Most of the Baby monitors have two monitors for baby end and parents end. These are wireless and have a range to connected with each other. Some are accessing through internet from anywhere you want. These uses security cameras if you want. To know the details about it “which uses IP cameras and which not”, please read the whole article carefully. Otherwise, reply this and ask what type of baby monitor you want if you are little confused about it. Then the webmaster will suggest you the best one. This is the best way to find the best one. Thanks the site owner to provide a good and details article about baby monitor on the internet especially for the buyer guide. It helps me to know a lots about baby monitor. Thanks Marcia and Millicent. Well replied Marcia. I agree with you. Millicent, if you are little confused about it, let me know. I will suggest you. Wow awesome guideline.This is very helpful content.